SHEARERS and contractors across Australia are being urged to participate in an online shearer training survey initiated by the Western Australian Shearing Industry Association. 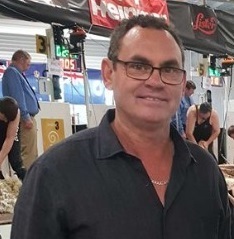 WASIA president Darren Spencer said the WA survey of farmers, shearers and farmers was initiated to determine the best method of continuing shearer training in the state. WA Shearing Industry Association president Darren Spencer. The survey which closes on 30 April is aimed at helping the association understand more about the use, delivery and requirements for shearing industry training in WA. The WASIA wanted to determine how to get “the best bang for our buck” from training funding by Australian Wool Innovation in WA, but Mr Spencer said many shearer training issues were common to all states. He said the recent shearing rate rise in New Zealand had led to more expatriate NZ shearers staying at home rather than coming to Western Australia. “Last year, right across Australia, everyone struggled for workers and a part of that was the New Zealand situation, where they increased the rate in NZ and a lot of guys never came across. This has prompted Mr Spencer to propose that Australia offer reciprocal visa benefits to British shearers, especially for the key spring and autumn shearing periods. “Our shearers can go to the United Kingdom for a three-month period just on a shearing visa, why can’t we do that? Meanwhile, shearers in Western Australia can currently get AWI-funded training through agricultural schools, week-long schools at the Rylington Park community farm at Boyup Brook, in working sheds and in on-farm workshops. But Mr Spencer said solid evidence was needed on ways to attract or keep shearers in the industry, or help them improve their productivity.